#RunningDry is now a global movement seeking to raise awareness for the world’s water crisis! Severe injury turns #RunningDry from a campaign into a movement as community rallies to run marathons and raise awareness about global water crisis with 100 marathons in 1 day. #RunningDry now a global movement to raise awareness for the world’s water crisis! Mina Guli’s vision for her 100 marathons in 100 days #RunningDry campaign was simple: to make saving water famous. Just over 2 weeks after announcing her injury on social media and completing 62 marathons in 62 days, this vision has become a reality with #RunningDry becoming a worldwide movement. The global running and water communities have rallied around Mina and undertaken to complete the remaining marathons for her. They have already logged more than 8500 km of donated kilometres, which has seen #RunningDry trending on Twitter. “#RunningDry is about using the sport of running to get people around the world to pay attention to the water crisis happening around us,” explains Mina. 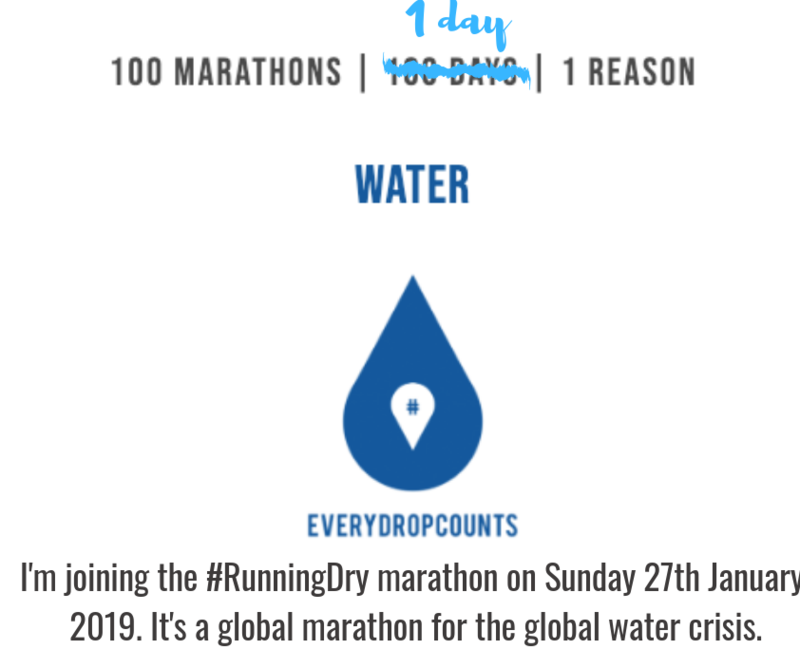 On Sunday 27 January, the #RunningDry community will attempt 100 marathons in 1 day – worldwide. 100 marathons in 1 day for 1 reason: water. To take part, supporters will simply run or walk a marathon (or part of a marathon) and log their distance on social media with the hashtag #RunningDry. The marathons will be taking place all over the world, linked together by #RunningDry. 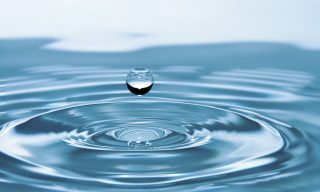 Supporters are encouraged to share water facts (available on Mina’s website) and invite their friends to join. To date, the biggest running day has logged 1800km for #RunningDry (42 marathons), so 4200km in one day is an ambitious goal – but one that Mina feels certain the community will rise to. Even more committed to the cause since sustaining her injury, Mina will be travelling to the USA from Australia, where she will be spreading her #RunningDry message, as well as meeting with communities already affected by the water crisis and water heroes searching for solutions to this crisis.